Looking to develop your skills and take the next leap in your career, but don’t know where to start? In their 30s, many professionals begin to look for their next big challenge, the next step up in their career. Is that you? Formal education is behind you, but you’ve still got about another quarter of a century or so in the workplace… at least. In order to progress, you need to learn, develop and improve. If you stand still, you’ll go backwards. There are new hungry grads who are hot on your heels. You need to capitalise on your experience and take the next great leap, now. Well, the simple tips and hacks below will help you set off on the path to self-improvement…fast! Read on, and remember: without action there will be no change! Just implementing one or two of these tips will make change happen! Most of them may seem like common sense to you but it is often the simple things that can drive the greatest changes. Plus, the simple things are often the easiest to forget or put aside. Ask yourself how many of these hacks do you actually do? Don’t have time to read the whole list right now? No worries. Let us send you a copy so you can read it when it’s convenient for you. Just let me know where to send it (just takes 5 seconds). If you know when you work at your best, you can make sure you use this time effectively. You can maximise your efficiency in a laser-targeted way. This isn’t an impossible task, this is something you can start working on right away. Using the simple steps below you will be able to fit your most important work alongside your most productive times. Monitor your working practices and identify at what times of the day you have the most energy and concentration. Then work out when you have the fewest interruptions and distractions. Set aside 3 periods of 90 minutes (at a minimum) when you will do your most intensive tasks. Ensure these time periods correspond with your usual peaks of energy and concentration and aren’t at times where you are regularly interrupted or easily distracted. For example, if you regularly get client calls after lunch, don’t make this one of your time periods. These 3 x 90 minute periods give you 4.5 hours of productive work time. This can be far more productive than an 8-hour day that has not been planned properly around your most productive periods. Within these time periods, ensure you choose the right tasks to do at the right time; i.e. do the most demanding tasks when you have most of your energy and less demanding tasks when you have expended some of that energy. Use interruptions to your working day to try and enhance productivity, i.e. pick the times that suit your productive periods best. You wouldn’t want to be being interrupted or taking lunch breaks during the time of day when you are most productive. Be creative in finding where your most productive periods are within the 24-hour day. Some people work best in the morning, others in the afternoon or evening. Obviously, this works better if your employer allows for flexible working practices. One of the best things about growing older is getting to know what you enjoy and what you’re good at. Coupled with the fact that you become less concerned with other peoples’ opinions of you. In your 30’s you get to know the things that you definitely need, and definitely don’t! We call these definite things your non-negotiables. By simply listing these out, you can use these to make much faster decisions. This level of prioritisation will give your real clarity around what’s important and what you can let go when making important career and life decisions. Remember this list may change over time… what’s important now, may not be so in a few years. Money: If you believe money buys you happiness, or you know you need a certain income to support your family or lifestyle, then financial remuneration is a non-negotiable for you. Incentivisation: If you enjoy being paid based on performance, then commission or bonuses could be one of your non-negotiables. Prestige: When you care about what others think of you, about your reputation or credibility, this becomes a non-negotiable. Job security: Some people are not bothered by losing a job as they are confident they will get another job or have other ways to support themselves. Others see it as their highest priority, making it their number 1 non-negotiable. Work-life balance: Some people value a good balance between work and relaxation, while others are prepared to work long hours. Flexible working: Some people want more flexibility to their working day and thrive on it, while others like the structure of a 9-5 day. Control: Some people like to be in control of what they are doing and have a say in everything they are involved in; while others are happy just to follow instructions. Work setting & environment: Where you work may be crucial to you e.g. outdoors, in an office, university etc. Travel/Commuting: The length of your commute, or any other travel requirements during your working day, may be a key factor for you. Some people love a job that gives them the chance to travel around the country, or even around the world. Others would hate this or would struggle to fit it around family commitments. Challenges at work: Some people find it important to be challenged at work while others prefer not to be stretched outside their comfort zone. Work colleagues & boss: Who you work for and with can be a non-negotiable. Learning & training: Some people see learning and developing as a high priority item in their life, as they are keen to enhance their skills and achieve more. Let’s face it, stress is never a good thing. There are some people that say that you can use stress as a motivator, but this rarely results in good work. In fact, they seem to be confusing stress with pressure. Talk your stress out with someone; share the burden and get some support. Sharing the load can be a good start to releasing or even eradicating the stress. Focus on your health by making sure you get enough exercise and eat a balanced diet. It’s very important to ensure you have enough sleep of the right quality; try to minimise the effect of night, early morning or rotating shifts on your sleep pattern. Planning and prioritising your work load are practical steps you should try and take to minimise stress. Eradicate bad habits in the workplace, especially negative thoughts and mindsets. Try to flip negative thoughts and mindsets, and approach your work from a more positive point of view. Time is a precious commodity, and there’s no way to become an expert at everything. In fact, spreading yourself too thin can have a dreadful impact on your effectiveness. Pablo Picasso didn’t bother much with knowledge about radioactivity, and Marie Curie didn’t really get on too well with oil paint. But they are still regarded as massively influential individuals. Stick to just a few things to work on, and you can really polish those skills. At this stage of your life, you should have a good idea of what you’re good at and what you enjoy. The key here is trying to find where these two things overlap. When you’re good at something, and you enjoy it, there’s no stopping you! Figure out what you are good at and what you enjoy. Find places where these two columns cross over. Focus on getting better at just one thing at a time, focusing on multiples dilutes the effectiveness. Practice makes perfect, so the more you do something the better you will get at it. We really believe in the power of positive thinking here at Coachical. In fact, you should definitely check out this video to understand just how powerful this can be – Watch the video. It stands to reason, then, that your mindset can be an astonishingly powerful tool to help elevate your performance. A very simple way to do this is to really understand your achievements in life thus far. Always focus on having a positive attitude. Try to rid yourself of negativity. This is not easy as negative influences can not always be avoided. Try to surround yourself with positive people and positive influences. Retrain your brain to focus on positives as opposed to the negatives, no matter how bad things are around you. Learn how to pivot from negative thoughts to positive thoughts. Try to find the positives in any situation… every cloud has a silver lining. Practice makes perfect, so the more you practise being positive the easier it will become. Spread positivity, by becoming a beacon of positive ideas, creativity and forward thinking in meetings and other interactions. Help others identify the positives in a situation. I’m sure you’ve heard this phrase many times. It is often applied to decisions made in large organisations and cut-throat financial industries. But it applies to personal interactions in the workplace too. There is more to you than your work output. If things go wrong at work, ensure you can focus on other good things in your life. Your sense of success and well-being should be drawn from other aspects of your life too. Likewise, make sure you have a social circle outside of work. Keeping a healthy distance between the work you, and the personal you, is always a good idea. Think of it as part of keeping a good work/life balance – don’t let work take over your life. There will be times at work where you disagree with a colleague and this can be difficult. Try to stay detached. Most workplace criticisms stem from a difference in opinion on what’s best for the business. When you accept that these are just part of being involved with a business, and not personal, you’re much more likely to keep a cool head. Stop worrying about what others think of you, as you will never be able to make everyone happy. Concentrate instead on what you think of yourself and the opinions of those who you most respect or who are closest to you – what they think counts for more. Be careful of making judgements too quickly and jumping to unnecessary conclusions. Treat others as you would wish to be treated and take the time to get to know people, the value they add and how they can best support you. Try and let things go, holding on to things will do more damage long term than any person could do to you. Stay at your level, never stoop down to someone else’s negativity. Know your own authority, by being clear on your responsibilities and ensuring you act upon them. If you are confident in your abilities, you will not get angry or upset as you have the authority to fix the issues you have been presented with. Focus on being respected and effective, instead of being liked. Don’t be defensive when someone challenges your decision, be open to making mistakes and learning from them. We have all potentially been subjected to either not enough feedback or poor feedback. As a result it can be easy to dismiss all feedback we receive. However, good constructive feedback, delivered clearly, can be invaluable. Studies have shown that a lack of frequent, helpful feedback is one of the top reasons that people quit their jobs. More communicative, honest feedback can help drive increased productivity and innovation. Whether you’re in a management role or just regularly collaborate with colleagues, it is important to develop your skills for giving (and receiving) great feedback that is honest and doesn’t send your colleague the wrong signals. Be clear on the purpose of the feedback and learn how feedback affects you/your team. Ask the person how they would like to receive feedback and drop the dreaded feedback sandwich (where a negative is sandwiched between two positives… people see through this!). Identify the specific action you want the person to focus on and ensure your feedback is direct. Be clear as to why you are giving feedback and how it has affected the person, the group or the company. Suggest potential steps to improve and don’t forget about giving some constructive praise. No matter what you do, you will have a set of work that you have done that was outstandingly good. Most of the time, this work is applied and then becomes normalised in your workplace. It’s easy to forget the wow-factor that it initially produced as time goes by. But remember! To anyone not regularly exposed to it, this stuff is just as impressive to them as it was the first time you used it. These pieces of work make perfect portfolio pieces, and if you gather them together you’ll be able to produce a super impactful portfolio. Make it visual and interactive if possible. Keep it real and show your personality. Use best practice, do some research as to what works best in your industry. Keep things simple, employers are busy and they need to understand who you are quickly. Be honest, people respect honesty, as lying about experience can come back to bite you. Selling is just for salespeople right? The principles of good sales can be applied to all sorts of areas of life, including a lot of areas that come under the guise of self-improvement. You may be selling an idea, a suggestion, or even yourself! You can even use good sales techniques to sell things to yourself! Imagine if you could apply sales to convince you to change a mindset that is holding you back, to begin a course that could improve your employability, or to book a trip that could change your perspective on life. By hacking some of the core psychological principles of sales, you can change your life. Focus on what the client/customer is looking for or what’s important to them. If you’re selling an idea to your boss, think about what value your idea brings to the business or how it will solve your boss’s key problem. Ask the right questions to elicit the information you require. Ask what the other person is looking for! Ensure you listen actively, as the saying goes “when you are buying, you are talking; when you are selling, you are listening”. Keep things as simple as you can, only delving into complex discussions when required. Keep your focus on what you know and don’t pretend you have knowledge on matters beyond your realm of expertise. Practise and rehearse any interaction where you may be selling something. Think about what you will say and how you will sell your idea /recommendation/product. Learn how to sell the right way with Coachical. Being secure means being more certain, more confident and, therefore, more effective at what you do. However, it is not always possible to be secure. Sometimes you need to take a risk to succeed and a backup plan just offers an easy way out when times get hard. For instance, let’s say you’re setting up your own business. If you have a job to go back to, you may not have the same drive and determination as if the new business was your only way to pay the bills. Research has shown that if you focus too much energy and time into a backup plan, this can affect the chances of you reaching your goals. In some instances, there are obvious and important benefits of making backup plans, such as reducing uncertainty and increasing how comfortable one feels about their future. In a negotiation scenario we would always recommend having a back up plan, as it strengthens your hand and can give you the confidence to walk away from a bad deal. Determine early on whether you actually need a backup plan, weigh up the risks of not having one versus having one as well as the associated costs. Once you have determined whether you need a backup plan or not, you need to decide how detailed or complex does that plan need to be; what needs to be considered. Formulate the backup plan and ensure you know when to use the backup plan. There is no point having a backup plan and not knowing when to implement it. Ensure you have set criteria that trigger putting the backup plan into action. Don’t focus on the backup plan, always focus on achieving your primary goals. The backup plan should be your last resort, not an easy way out when things get difficult. Focusing on the backup plan can be detrimental to your success. Who doesn’t like getting what they want? Anybody? No? Being able to effectively negotiate will help you get more of what you want for less investment; be that time, money, or effort. Like most skills, the more you negotiate the better you will get at it. But there’s so much conflicting information out there about negotiation best practice, that it can be pretty overwhelming and difficult to know where to start. Always think win-win; good negotiations seek a mutual agreement that pleases both parties. Prepare thoroughly for any negotiation. Empathise with and respect the position of the person you are negotiating with. Play by the rules and don’t jeopardise your reputation. Be patient, better a good deal, slower than a bad deal, fast. Communicate clearly, setting out your objectives that both parties understand. Always be aware of opportunities. Try out our digital coaching journey in Negotiation to become a master of negotiation. Personal branding should be important for everyone, especially if you want to stand out from the crowd. Your personal brand should focus strongly on who you are and what you have to offer. Developing a personal brand takes a lot of hard work and is something you should be looking to invest time in. Figure out what you would like to do with your life and what you are good at. Think about what opportunities that may present. Know the audience you are approaching or trying to develop your brand for. Find the best social platform for you, it could be a website, social networking site etc. and develop your message: a short memorable phrase to summarise your brand and what you are about that could be pitched in a limited timeframe. Build as many relationships within your field/industry and collaborate as much as you can. Develop a unique selling point that makes you stand out from the crowd. Ensure you have a well-defined set of values and keep true to them in everything you do. In the all-pervasive world of social media, you may not be at all surprised to learn that approximately 70% of prospective employers check out applicants’ social media profiles before deciding on employing them. This isn’t limited to just LinkedIn either. Facebook, Twitter, Instagram, Pinterest etc. are all on the browsing menu. Whether you’re looking for a new role, are hoping to be considered for promotion or are looking to make some great connections, you’ve got to ensure that you portray the image that is going to help your career the most. For instance, a key account manager is going to need a very different social presence to a freelance illustrator. Before you start on any social media platform, think about the image you’re trying to portray and what you’re looking to get out of your online presence. Remember the networking part of social networks. Social media can help you make new connections that will boost your career. Strategically reach out and make good quality connections where you can develop a relationship with some depth to it. Your next connection could be your next mentor, your next buyer, your next manager or your next team member. Have in mind who you would like to engage with and look out for them. Comment, participate in discussion and where possible post your own content. Ensure your target audience are at the forefront of your mind when creating content, quality over quantity is extremely important. Use the social media platforms to your advantage, to ensure you maximise your impact. Different networks offer different features so try and use these features to your advantage. Automating posts can be a great time saver over multiple channels. Before connecting with anyone do some research about that person. A bit of information about them will help you engage, be more personable and will potentially give you a conversation starter. If someone shares your content or communicates with you about the content, ensure you reply and say thanks in an authentic style. Despite the ubiquitous vocal communication systems we have around us (even asking Siri for the weather), the power of written communication cannot be underestimated. It’s a medium that passively creates records of what you have done and allows you the time you need to craft eloquent, and persuasive communications. Know who you’re writing to. Use personal pronouns as much as possible – this enhances rapport in most cases. Ensure good use of subject or title lines. Make your messages clear, concise and brief. Always be polite, ensure your messages reflect your professionalism. Review any written content prior to sending or publishing. Saving used to take planning and effort, but now there are a plethora of AI saving apps that passively save at regular intervals with no input from you, the saver. These savings add up fast and are barely noticeable in your day-to-day life – but they can make a big difference when you need them to. Find and download a suitable app for yourself, there are many available. The app will guide you in linking it to your bank account, so that your savings can be fully automated. Configure the app to make the savings you would like and monitor your spending. Think about what you could do with an extra thousand a month? 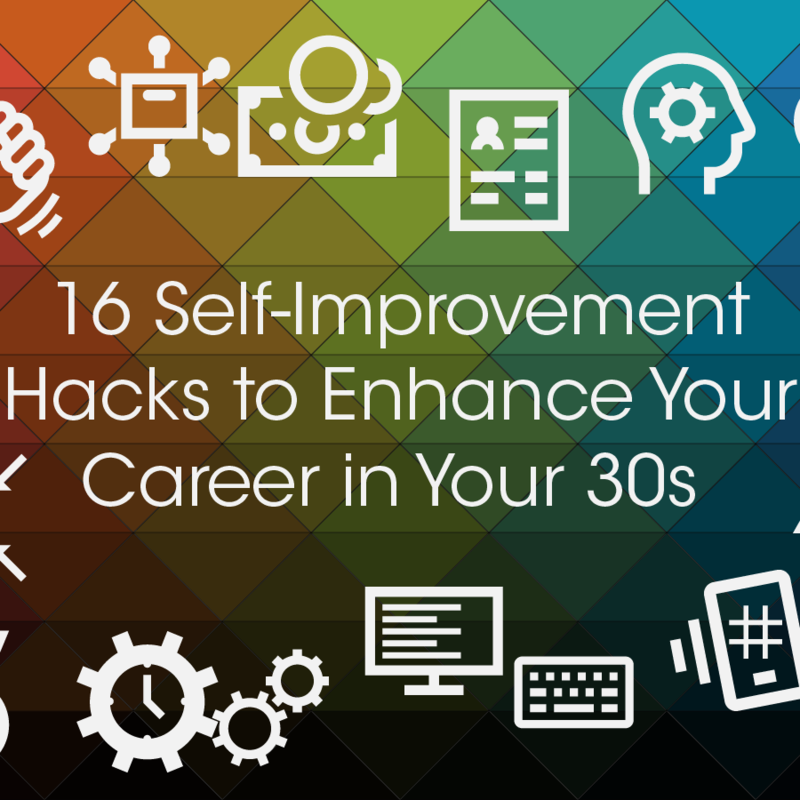 You could improve your quality of life, retirement pot, and even your skills! By ensuring that this endeavour is rewarding to you, you will have greater motivation to continue your hustle. This will, in turn, help you hone your skills as well as enjoy it more! Think about your skills and strengths. Can you apply any of these in a way that others would find useful? Seek out opportunities that suit your skillset. Make sure your employer is comfortable with your side hustle and get permission if necessary (and make sure it doesn’t negatively impact your work – don’t be in direct competition and don’t pursue it during company time). Over-deliver on any projects you work on. Constantly hone your skills to ensure you are always developing. So which tips resonated most for you? Why not pick one or two of your favourites and implement them today? Just a few small changes today, can make a massive difference to your working life. If you know someone who might benefit from these tips, please do share it with them! 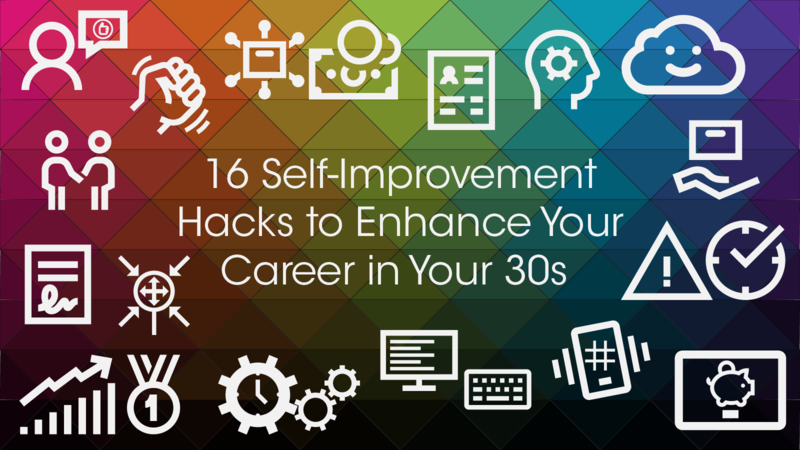 Do you have any other great tips or hacks to enhance your career? Please do share them with us in the comments below – let’s help each other out!